THE tale of Adrian Doherty, Irish soccer’s lost genius, is not your average hard-luck story. Irish sport is full of tales of misfortune, but the case of Doherty – a relative unknown from Strabane, Co. Tyrone – is one that carries extra intrigue. Had his remarkable talent carried him to the right flank of the first-team at Manchester United, David Beckham may well have had a very different career. As a youth, Doherty had more talent than Beckham – by all accounts – and there’s a strong case to suggest he could have been better than Ryan Giggs too, but Doherty’s life took a very different path to those Old Trafford legends. Dead before the age of 27, the previously hidden and fascinating life of ‘The Doc’ has finally been told in Oliver Kay’s new book, Forever Young. He came from a family with a love of soccer, and Man Utd in particular. His father, Jimmy, had played at senior level for Derry City FC in the 1960s, but when he received a phone call from Sir Alex Ferguson in the late 1980s to tell him Adrian “ticked all the right boxes” following a trial, he knew his son was on another level. When Jimmy called Pat Rice at Arsenal to tell him his son would be choosing Manchester United instead, hearts sank among the Gunners. So excited was Ferguson about his new prospect, he mentioned Doherty in a match programme in 1987 – when the young Irishman was just 14 years old – saying he was “like greased lightning,” adding: “He plays wide on the right and he’s a very exciting discovery”. Although born into a nationalist society, Doherty had no interest in GAA. In fact, his P.E. teacher once sent him off for dribbling the length of a Gaelic football pitch with the ball on his head. He was so good with his feet and head, he refused to use his hands when playing Gaelic football. He played for Northern Ireland Schoolboys with Brendan Rodgers and befriended the current Celtic manager having roomed with him on the road, but the pair lost touch after Doherty quit the youth international scene in 1988 having become uncomfortable and intimidated by the Belfast-dominated set-up. Rodgers remembers him fondly, saying: “He was someone I got to know well for a year or two. He was such a talent – so fast and brave as a lion. He was just a natural. Other famous former players to have shared a field with Doherty at youth level were in awe of him. Gary Neville has since compared his “low centre of gravity” and “tight control” to that of Lionel Messi, while Giggs said he was “the quickest I had ever seen”. After moving to Manchester at 16 to begin his apprenticeship with United, Doherty became crippled by homesickness. 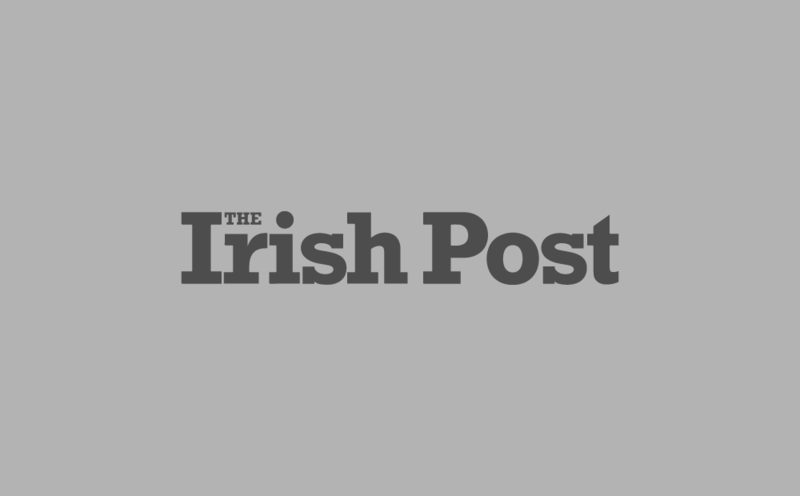 Ferguson granted him leave to return to Strabane three months into his internship and, when he returned, he moved in with Irish couple Frank and Geraldine Manning – an auntie of his friend from home – which helped him settle. The “quirky” personality Rodgers refers to stemmed from his love of theology, philosophy, poetry and folk music, in particular Bob Dylan. 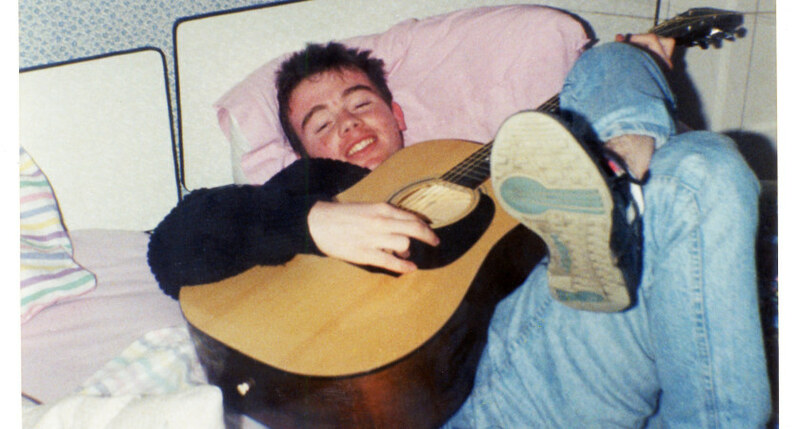 Indeed, Doherty used to go busking around the streets of Manchester, playing improvised versions of Dylan songs, while his peers at United took advantage of free tickets to games at Old Trafford. Some say he enjoyed that possibly even more so than playing football. On the field, Ferguson seriously considered handing Doherty a Manchester United debut away to Southampton in 1990, when he was still only 16. In the end, he opted against it, but since Doherty travelled with the first-team squad he was awarded a £200 bonus after the team won. Yet he was completely anti-materialistic, barely cut out for the direction the sport was heading. Indeed, he cycled a rusty old second-hand bike to training sessions and dressed in self-styled, second-hand clothes, such as his trademark Aran jumper. His peers at the Cliff Ground, United’s former training base in Salford, were busy gelling their hair and getting immersed in Manchester’s thriving modern music scene. Doherty was once again on the brink of making his Old Trafford debut at the age of 17 but he suffered an anterior cruciate ligament tear in his right knee playing for the club’s ‘A’ team. Ryan Giggs got the nod instead a week later and went on to win more medals than any other player in the club’s history. A devastated Doherty tried to regain full fitness for the following two years, but his knee repeatedly broke down. Eventually, in the summer of 1993, he was released by United. He continued his career with three appearances for Derry City, but quit soccer for good soon after having fallen out of love with the game. He went on to pick up numerous jobs thereafter, most notably at Brennan’s Yard – or House Hotel as it is now known – in Galway. Doherty never bragged about his past, telling colleagues he’d been a postman in Preston before moving to the west of Ireland. His adventurous spirit eventually attracted him to the Netherlands as he moved to The Hague to take up a job with a furniture company. Within a week of moving there, the 26-year-old had fallen into a canal. Doherty always had a phobia of water and couldn’t swim. He spent a week in a coma before tragically passing away a day before his 27th birthday in 2000. The title of Kay’s book, Forever Young, comes from the Bob Dylan song of the same name, which was played at his funeral by his younger brother Peter. Although ultimately a sad tale of wasted talent and tragedy, the fascinating story of Adrian Doherty was one that needed telling. Kay conveys the type of character soccer could use today, but, regrettably, we’ll never know just how good ‘The Doc’ could have been. 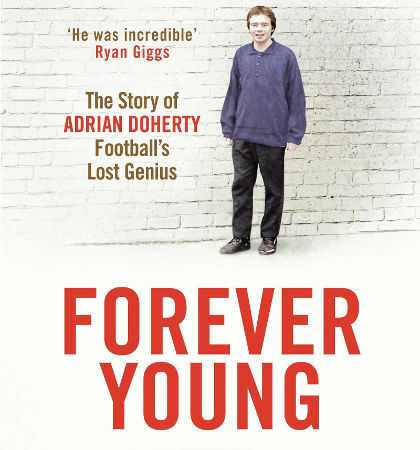 Learn more about Adrian Doherty in Oliver Kay’s book Forever Young, which is available now from Quercus Publishing.